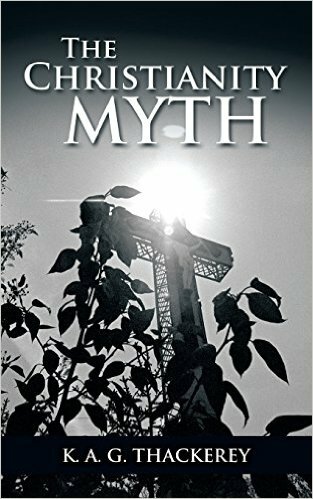 This very short thought-provoking book chronicles my intellectual journey from slightly informed church going agnostic to well informed church going atheist. Essentially, the book is a 21st century re-interpretation of 1st century Christianity that takes into account our much better understanding of Temporal Lobe Epilepsy. By doing this, it is possible to explain the origins of Christianity without resorting to divine intervention. It is also possible to explain why we now have four New Testament Gospels proclaiming a Jerusalem resurrection that never happened. Christians may well think Jesus was the Son of God before reading this book, but will they still think he’s the Son of God after reading it? Ever notice how intertwined religion is with our evolution. Regardless the facts, I find it hard to remove faith and belief from the human, that faith may be in science, philosophy and/or religion, but it seems we cant do without an explanation for ourselves. Science seems to be telling us that having faith in placebos actually works. Shamans were not useless along the way? And, at least we dont sacrifice our first born since Abraham and the power of forgiveness (religiously inspired or not) seems to work wonders for the victim, if not the perpetraitor. Now, if we can just remove the religious wars, etc. We need a new all encompassing faith… in the “science” of faith? Religions have taken many forms & served many purposes during our evolutionary development. Mainly they have been vehicles for “explaining the non-explainable”, and for providing social cohesion within a “tribe”, but only at the expense of causing divisions between “tribes” daring to be different. Religions have also served as a useful form of “self regulating crowd control” that was often exploited by more astute “rulers”. Today, we have scientific explanations for most of the things that mystified mankind & the need for religion has now been relegated to the lesser role of satisfying simple personal needs. Many people it seems, still need personal reassurance that their lives have purpose & meaning and they usually seek this reassurance via religion. It’s a comfort blanket that insulates them from thoughts of their own insignificance & their own mortality. As you’ve probably already worked out by now, I have little or no time for the stereotypical “faith” associated with religions. The only faith I would subscribe to is faith in the inherent goodness of the vast majority of people. In my opinion, you do not need a god telling you to be good!